Summertime calls for refreshing drinks and enjoying the sunshine with that cold glass in hand. Duc had to harvest his first batch of sweet basil the other day, and I was not prepared at all to use it in anything savory! However, with the large number of limes we for some reason had and two cucumbers in the fridge, I decided to whip together a drink for the heat and boy was it tasty. Give it a try - you won't be disappointed! When I first discovered just how easy simple syrup was to make, I was very surprised. It's pretty much just equal parts water and sugar, reduced to syrup form, and poured into hot or cold drinks to allow it to integrate better. Infuse simple syrups with flavors by adding in the ingredient of choice and straining it out later. 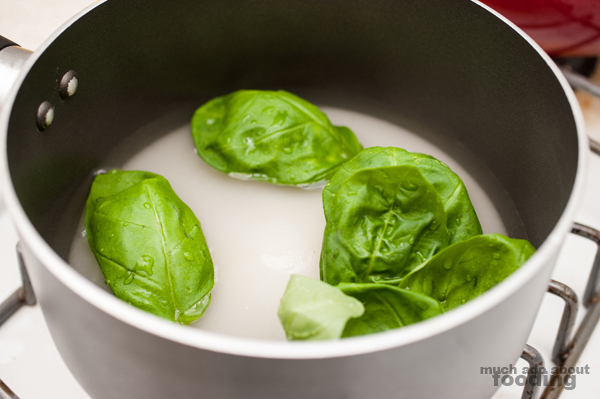 Likewise here, dissolve water and sugar on low heat with basil leaves in a saucepan until there is about half the volume remaining. Turn off heat and let sit for 20+ minutes to absorb basil flavor. Puree peeled cucumbers and squeeze in lime juice. 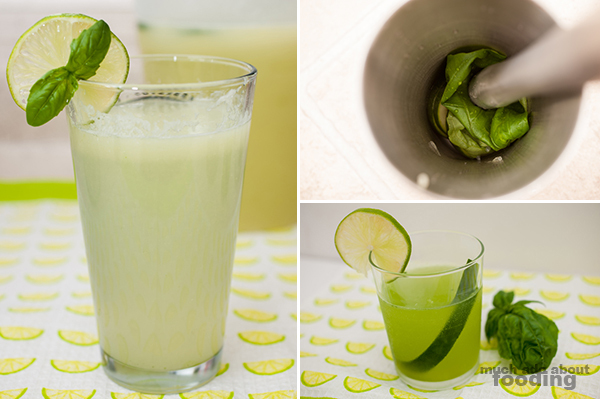 If you'd prefer not to have cucumber "pulp," strain it out before adding to a large pitcher. 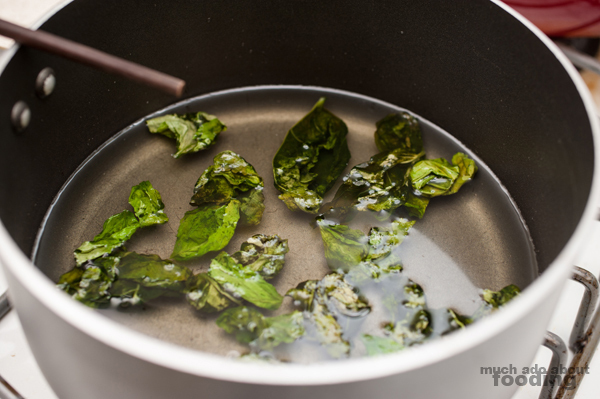 Remove basil leaves from simple syrup (if desired) and pour into pitcher. Fill remainder of pitcher with water to the half gallon mark. Chill and enjoy! I also like to throw in some whole lime and cucumber slices into the pitcher for more flavor. 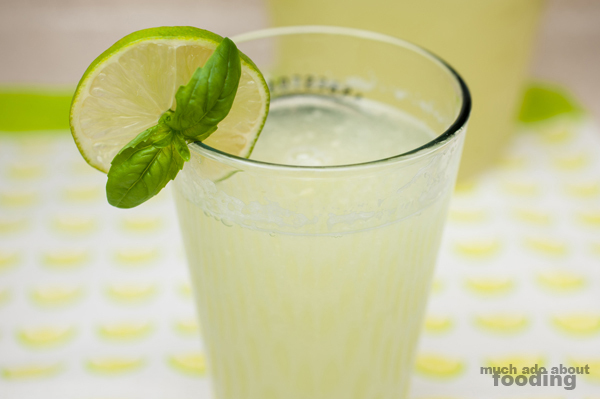 If you want to keep it non-alcoholic but make it a little more fun, try adding in soda water, lemon-lime soda, or even ginger ale. If you want to turn it into a cocktail (pictured above), muddle 2-3 large basil leaves with 4-5 thin slices of cucumber before adding in simple syrup, 1 oz lime juice, 3 oz gin, and ice into a shaker. Strain and enjoy!